It was announced at the Konami press conference. Metal Gear creator Hideo Kojima and his studio Kojima Productions are involved. At the press conference, it was announced that the game uses "3D googles". This teaser images reads "Tactical Online Action." A trademark appeared this past April. That trademark was protected against "entertainment services" for "providing a website featuring information about video games" and "arranging and conducting video game competitions." Konami Sneaking Metal Gear Into Arcades? The game will be out in Japan later this year. 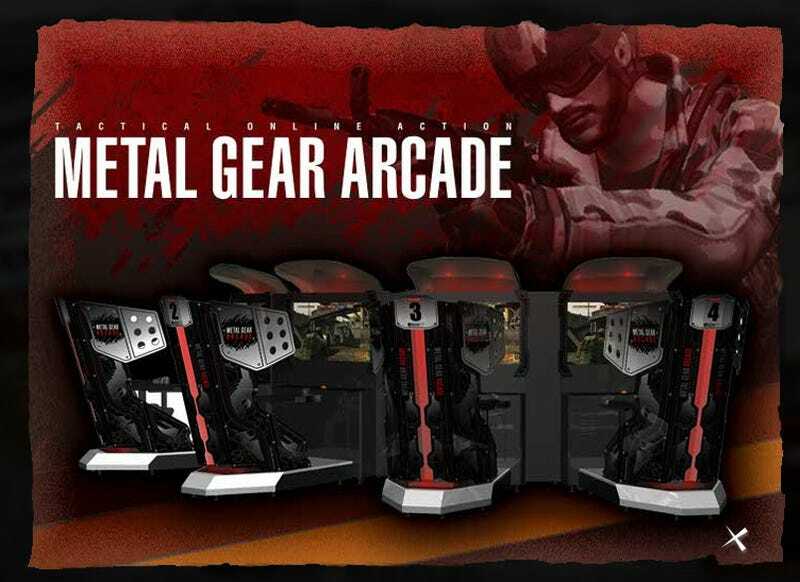 Our take: it will be a customized arcade take on Metal Gear Online with networked arcade cabinets.